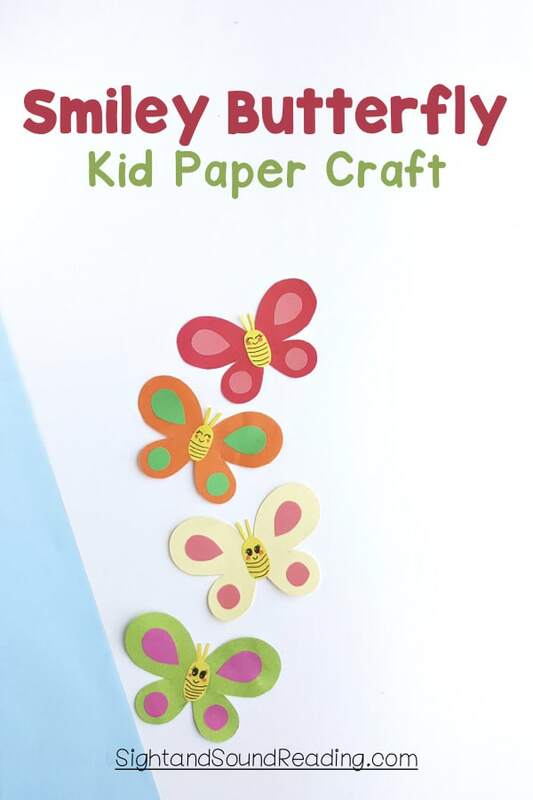 You are here: Home / Preschool Crafts for Kids / Easy Smiley Butterfly Kid Paper Craft – with Free Template! 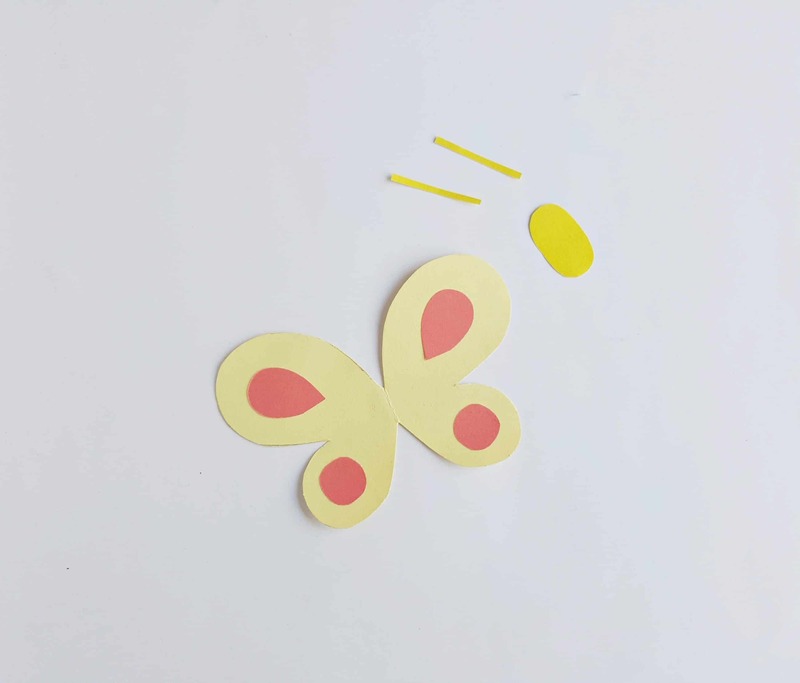 Easy Smiley Butterfly Kid Paper Craft – with Free Template! I hope you love butterflies as much as I love butterflies! The bright and warm spring and summer invite them to show off their beautiful wings and to visit the flowers. 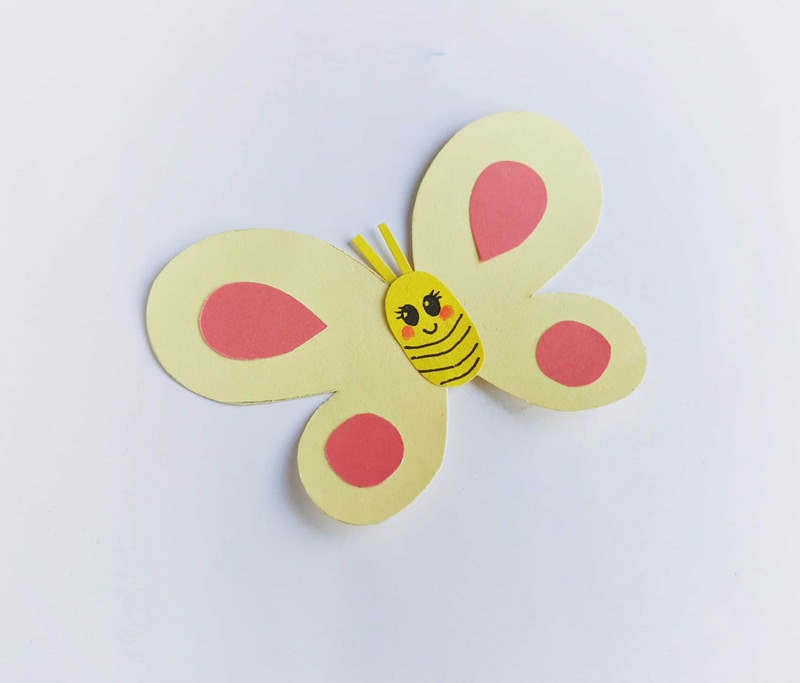 Today I am going to share a cute smiley butterfly kid paper craft to display in your rooms. Before we make a butterfly craft, let’s learn about butterflies! It is fun to learn about how they turn from chrysalis to butterfly!…..Here are a few of our favorite books! Print and cut out the patterns from the template. 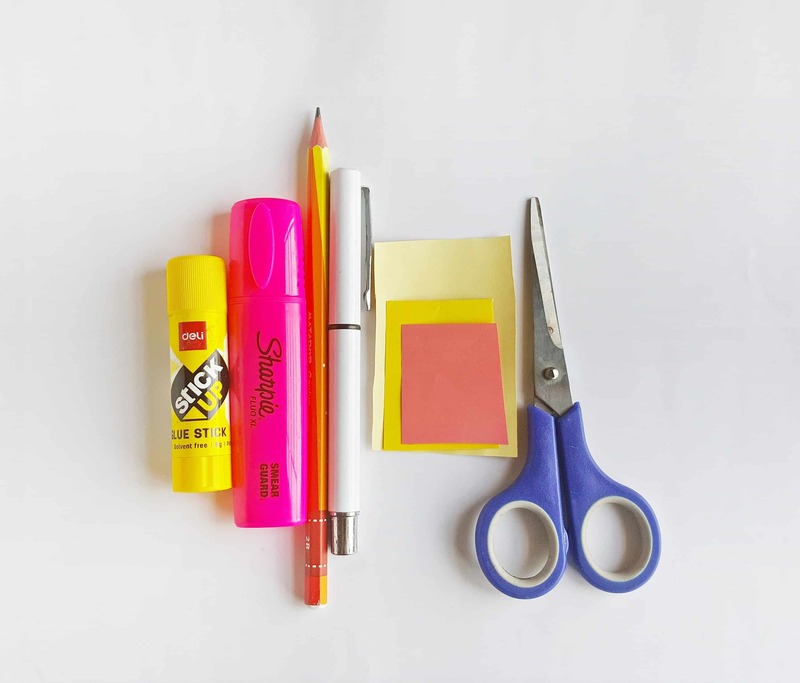 Place the cut out patterns on the selected colored craft papers and trace around the sides. Use scissors to cut out the traced patterns nicely. 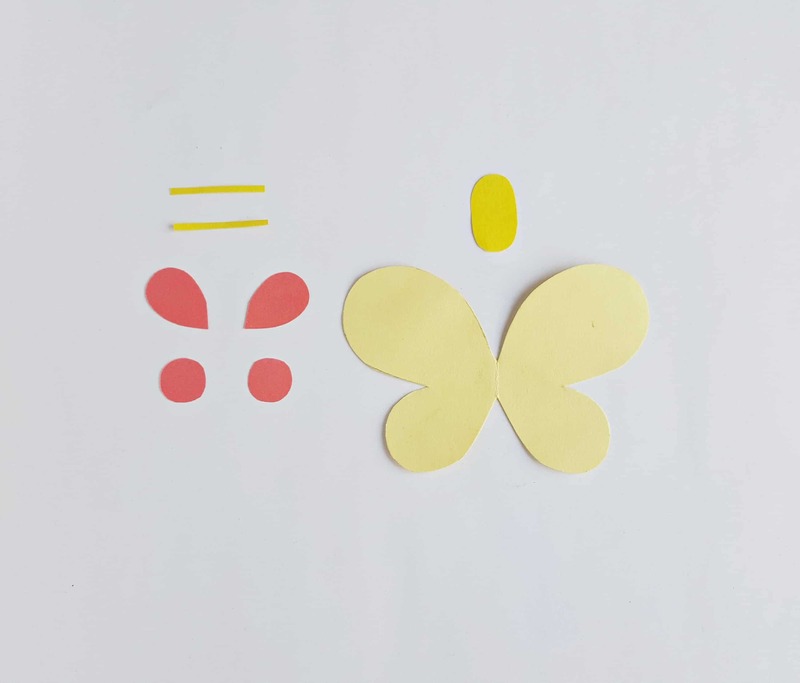 The template includes – 1 body pattern with wings, 2 small strips (antenna), 1 oval pattern (to create the smiley face of the butterfly), 2 teardrop patterns and 2 circle patterns for wing decoration. You can create your own patterns for decorating the wings or simply print, cut out and use the template given with the tutorial. Attach the two teardrop patterns on the top side of the wings and the two circle patterns on the bottom side of the wings. Take the oval pattern and draw the smiley face using black gel pen. 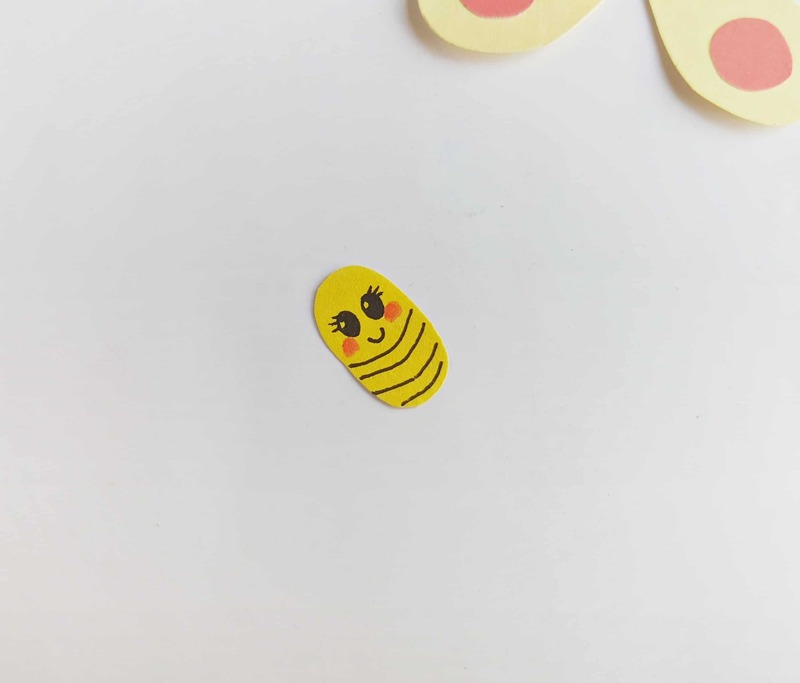 Use pink sharpie to create two blush patterns on both cheeks of the butterfly smiley face. You can add more or less details as you wish. Attach the smiley oval pattern right on the middle of the wing pattern. Finally, attach the two small strips (these will be the antennas) at the back side of the top end of the smiley oval pattern. Mix and match different colored papers and draw different smiley faces for variation. 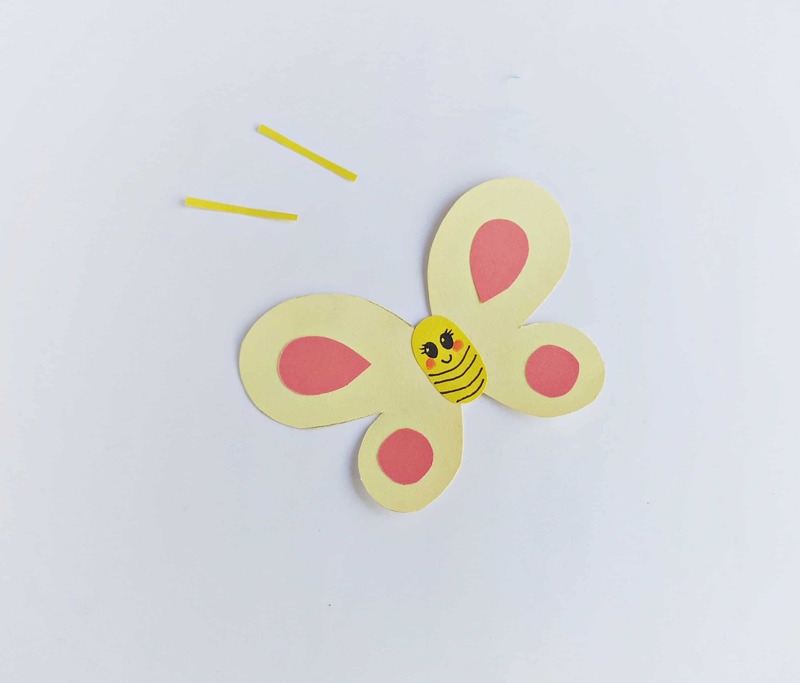 You can use these smiley butterfly kid paper craft for tons of other crafts! Subscribe for the Free Download & Learn how to grow a confident reader. 20+ Spring Activities for Kids-Enjoy the weather! 90+ Preschool Crafts – Easy learning crafts!